More than 5000 students across 1700 teams from 10 premier business schools in India participated in the annual competition. The first prize was awarded to the team from IIM(Indian Institute of Management) Lucknow. The first runner up team was from IIM (Indian Institute of Management) Ahmedabad followed by second runner up team from IIM (Indian Institute of Management) Kozhikode. The top three winning team members received a pre-placement Interview opportunity with Accenture, besides other prizes. 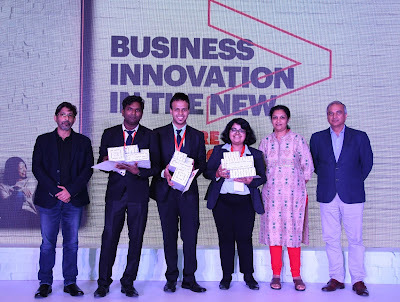 The challenge kicked off on August 21, 2018 across campuses, concluded in a grand event in New Delhi where the top 10 teams from each campus presented a case study on disruptive digital strategy for a company centered around Innovation. The participating schools included IIM Ahmedabad, IIM Bengaluru, IIM Calcutta, IIM Lucknow, IIM Kozhikode, ISB(Indian School of Business), JBIMS (Jamnalal Bajaj Institute of Management Studies, S. P. Jain Institute of Management and Research, FMS (Faculty of Management Studies) and XLRI (Xavier School of Management). This year, the challenge was divided into four stages: rapid-fire online quiz on business, Accenture, digital and general knowledge related topics; business simulation where students stepped into the role of a CEO to make their company profitable; case study challenge on a disruptive digital strategy for an industry and finally, the grand finale in New Delhi where top teams battled it out on an overnight case study challenge. 1700 teams participated in the online quiz, of which 15 teams were selected per campus for the second round. Five teams made it to the third round and eventually one team per campus was chosen in the final round. In each round, the participating teams demonstrated their innovative ideas to reshape businesses for the digital era in all aspects such as customer experience, internal operations and the business model. • Rajeev Batra, Group CIO, BCCL. Digital technologies are changing the world like never before. Accenture helps clients pivot from thinking digital to being digital at the core. This includes interactive experiences that captivate customers, new intelligence that is applied across every industry, function and process, and the Digital Reinvention of Industry through smart, connected, products, services, plants and workers.